Spending a day at Iloilo City before our journey to the Gigantes Islands, we didn’t think twice about how to spend our time. 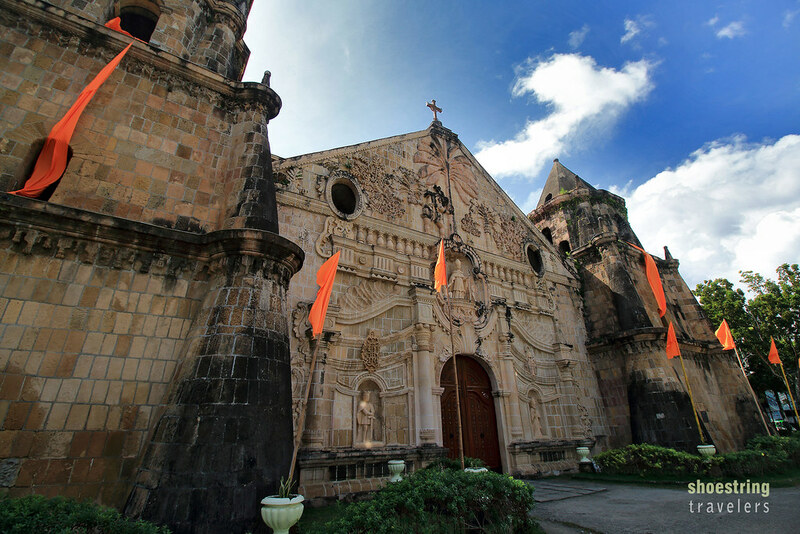 Right after exploring and dining at the La Paz district – famous for the original La Paz batchoy (a tasty noodle soup) – we immediately took off for Miag-ao town and its iconic Roman Catholic church building. The Sto. Tomas de Villanueva Church, more popularly known as the Mig-ao Church, was completed in 1797 at the highest elevation in Miag-ao town. It was initially designed to serve as a defensive watchtower against Muslim raiders which had been ravaging the town in the 1750s. 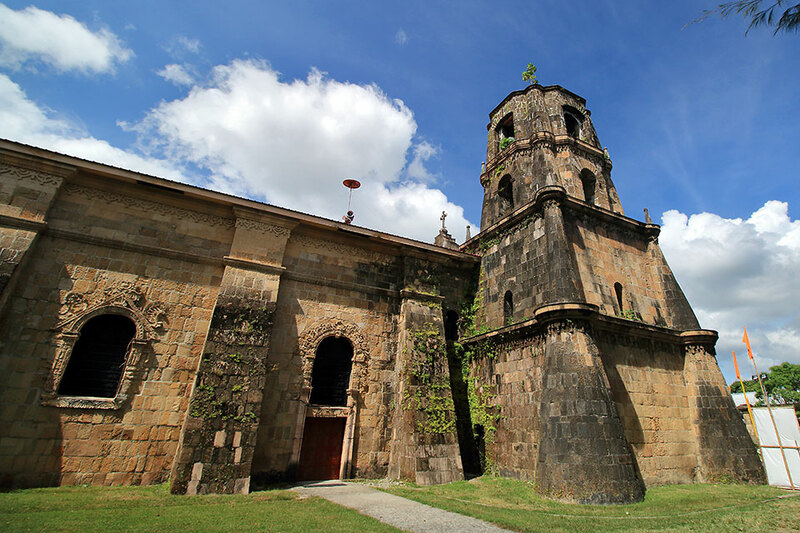 Severely damaged several times it has recovered every time and was declared a UNESCO World Heritage Site in 1993 along with three other Spanish-era Baroque architecture churches in the Philippines. Arriving at the town center after a one-and-a-half hour commute from Iloilo City we spotted the church across the street from the town plaza and municipal hall. 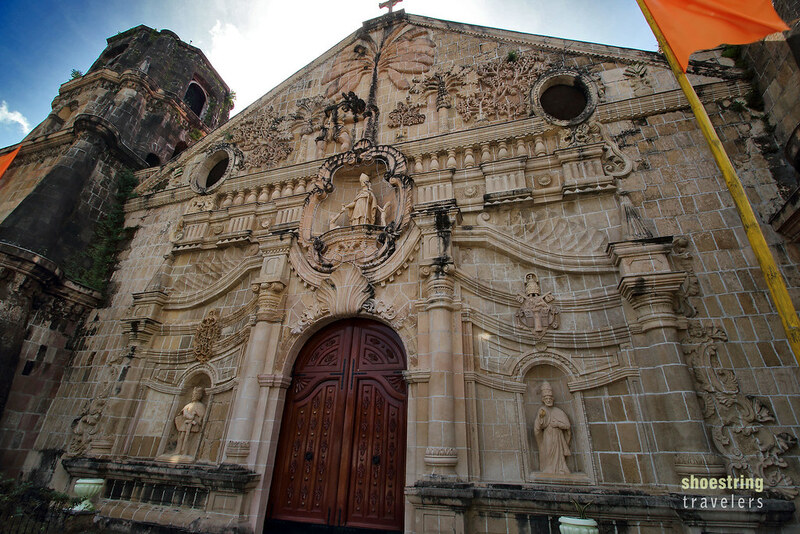 Immediately apparent was the intricately designed façade – the one thing that easily makes Miag-ao Church stand out among other Baroque Romanesque churches in the country. The bas-relief carvings are a mixture of Spanish, Oriental and local elements. The biblical tree of life is depicted as a coconut tree with papaya and guava trees flanking its side. 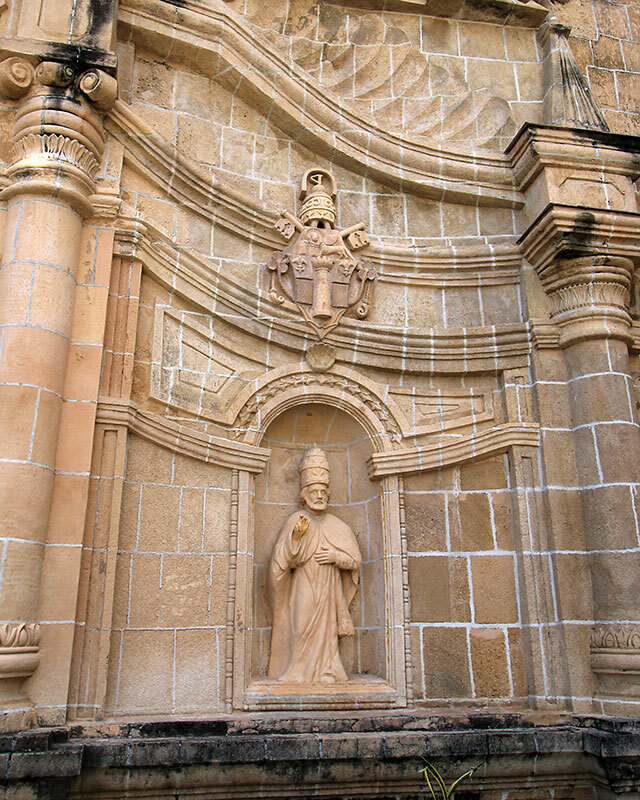 Images of Roman Catholic saints (St. Thomas of Villanueva, St. Cristopher and St. Henry of Bavaria) and Pope Pius VI along with their coat of arms complete the façade’s art work. The church’s substructure or foundation is 6 meters deep and its stone walls a massive 1.5 meters thick. To strengthen the walls further, 4 meter-thick flying buttresses were added to the walls – obviously for resisting earthquake forces. It is similar in principle to the massive buttresses of the Paoay Church in Ilocos Norte, although the latter is much thicker and more densely-spaced for added protection, something that aroused Leo’s curiosity (he used to work as a structural engineer). A more convenient ride is via a Ceres Bus bound for San Jose, Antique. In this case head out for the Mohon Termiinal at Molo District. Both air-conditioned and non air-conditioned buses ply this route. Going back you simply ride a jeepney or bus bound for Iloilo at the town plaza. 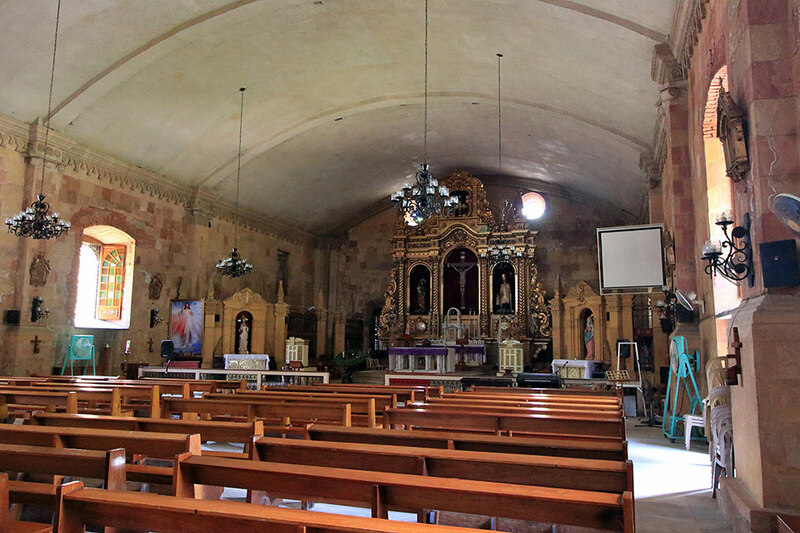 Posted in Iloilo, Travel PhilippinesTagged architecture, churches, Iloilo, philippinesBookmark the permalink.